If you’re buying a new truck in 2018, the Ram ProMaster should be on your short list of models to check out. This popular truck line comes equipped with interior amenities that are sure to appeal to families, outdoor adventurers and hard-working men and women alike. Sport utility vehicles are a popular class of car with families and anyone who needs a lot of power or storage. The Jeep Cherokee can do everything an SUV is supposed to do, but it does it better because of its exterior features. If you are thinking about buying the 2018 Jeep Compass, it can be helpful if you have an idea of what the vehicle has to offer. 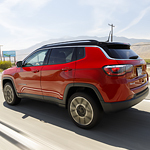 The 2018 Compass is a popular model among subcompact SUVs because it offers a plethora of safety, exterior, performance, and interior features. 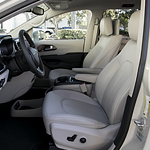 Read further to learn about the interior features that come equipped with the 2018 Jeep Compass. The Jeep Grand Cherokee has defined the SUV category for more than 25 years. It has maintained classic designs and character that gives it timeless appeal. The Cherokee presents a stunning combination of style, luxury, technology and capability that has made it a consistent award-winning SUV. 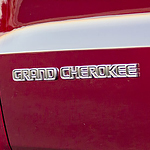 The Jeep Grand Cherokee's classic grill is an iconic signature and is one of the most recognizable brands in history. The Cherokee is an international selling vehicle that has demonstrated superior abilities throughout its lifetime. Families everywhere are discovering why the 2018 Dodge Grand Caravan is the best vehicle for their growing needs. 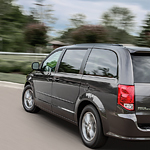 This popular minivan exemplifies the very best in class in a variety of features including a bevy of innovative interior offerings all designed to provide maximum passenger comfort and convenience. The spacious cabin can comfortably seat up to seven passengers. The storage space provided by the patented Super Stow 'n Go system enables superior versatility with more than 140 cubic feet of cargo space and a myriad of small storage compartments. If you are in the market for a new vehicle and you have already started doing some research to figure out what you might be interested in, you probably know all about the 2018 Jeep Wrangler. This is a vehicle that is durable, tough, rugged but also incredibly sophisticated and practical when it comes to the interior. There are plenty of features that make the interior of the Jeep Wrangler just as practical as it always has been, but there are also newer features that make it far more luxurious than previous models of the Jeep Wrangler. The name Jeep carries a lot of weight, as it has long been an icon of durability and ruggedness, both on the road and off. The Jeep Cherokee is a more compact version of the Jeep, but still has all of the power of its larger cousins. For any tough job you may undertake, you can depend on the Jeep Cherokee to deliver. Are You Interested in the 2018 Ram 1500? Read Further! If you are currently looking for a reliable light-duty pickup truck, we invite you to read about the 2018 Ram 1500. The new model comes with a wide range of features that make it one of the top choices among light-duty trucks. If you want to know more about the 2018 Ram 1500, read about a few interior features that come with the new model. The Ram 3500 has become one of the most dependable pick-up trucks on the road. If you are in the market for a new truck, take a peek at a few of the durability features of the 3500 that set it apart from the rest. It doesn't matter how hard you push the Ram 3500, you can rest assured knowing you have the protection of the industry leader behind you. The gas engine has a 5-year/60,000-mile powertrain warranty, the diesel engine has the 5-year/100,000-mile warranty.